Since she first came onto the R&B scene in 2000, Ledisi has been wowing fans and earning critical acclaim. In 2007, she caught the attention of Verve Music Group and recorded her third album, Lost & Found. The album earned her two Grammy Award nominations, including “Best New Artist”. She continues to be acknowledged by her peers, receiving seven additional Grammy nominations to date. Ledisi has performed at the White House for the President and Mrs. Obama no fewer than nine times, earning her a place in the pantheon of the best soul singers of her generation. “Ledisi is one of our favorite people”, said the President. But Ledisi is much more than a singer- she is an advocate for the arts- an educator, author, entrepreneur, philanthropist, songwriter, producer, and innovator. Lauded by such music greats as Prince, Patti LaBelle, Bill Withers, Smokey Robinson, and Stevie Wonder, to name a few, Ledisi is a singer’s singer. She proudly calls herself a R&B artist, but continues to step outside the genre-defining boxes set forth by the music industry. She has performed with country legend Vince Gill and blues icon Keb’ Mo’. She has sung jazz with the best and recorded with the Count Basie Orchestra. Most recently she appeared as a special guest at the sold-out Soulful Symphony’s 15th Anniversary Concert at Meyerhoff Symphony Hall, where she performed a tribute to the great Nina Simone. In 2014, Ledisi released her fifth studio album, The Truth, which spawned the singles “I Blame You”, “Rock with You”, and Grammy nominated “Like This”, among others. She headlined two national sold-out tours, appeared onstage alongside Kelly Clarkson and Jill Scott, and on nationally recognized shows like Good Morning America, The Late Show with David Letterman, Late Night with Jimmy Fallon, HBO’s Rock and Roll Hall of Fame, and VH1’s Divas Live. The big screen came alive in 2014 with Ledisi’s portrayal of gospel great Mahalia Jackson in the Oscar-nominated film Selma. Ledisi’s rendition of the Thomas Dorsey hymn “Precious Lord, Take My Hand” reverberates with viewers everywhere. 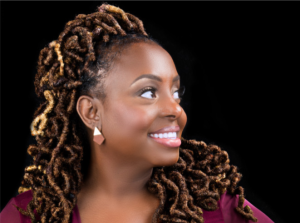 Just as Ledisi’s voice has caught the attention of listeners, her signature locs garnered the attention of beauty industry giant Design Essentials Natural. Design Essentials partnered with her in 2015 to create a lookbook that showcases Ledisi’s beauty with versatile, creative hair styles. Design Essentials Natural subsequently dubbed Ledisi their first “Natural Beauty Ambassador”. Ledisi has also served as an ambassador for the San Francisco Chapter of The Recording Academy. Among other duties, Ledisi has also participated in Grammys on the Hill, where members of all facets of the music industry head to Capitol Hill, to lobby and advocate for the fair and equitable treatment of their peers involved in music creation. In 2016, Ledisi will join the likes of Kerry Washington, Hill Harper, and John Legend when she receives The Advocacy Award presented by The United States Conference of Mayors. 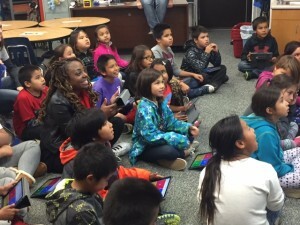 As a Turnaround Artist, Ledisi will be working with Sierra Preparatory Academy in Santa Ana, CA.